Draining hydraulic seal on floor traps produces odors in the bathroom and its elimination is difficult to solve (without works). 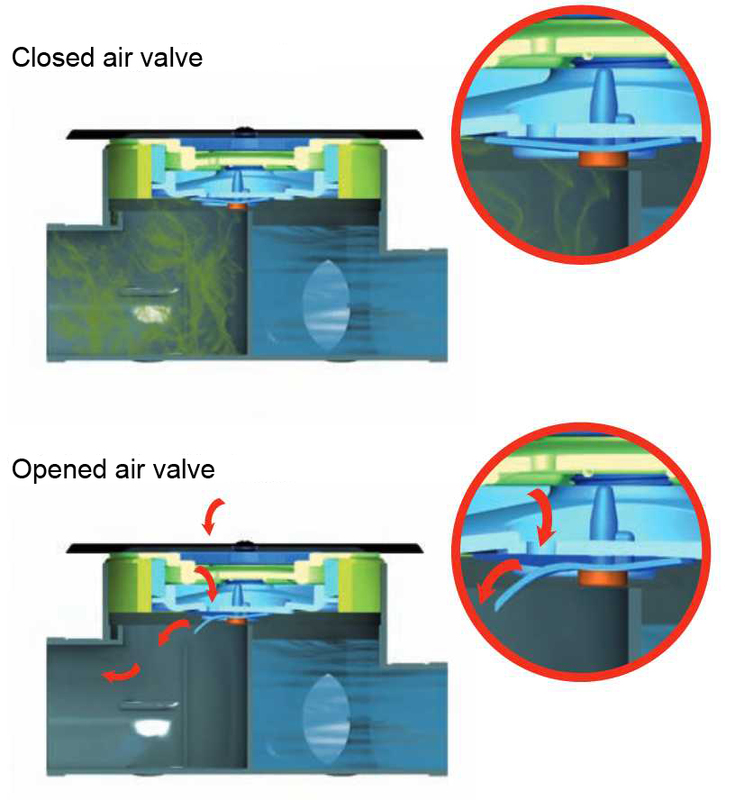 Floor traps with air-admitance valve are equipped with an inner silicone joint that opens at low depression (3 to 24mmca) allowing air into the dwonpipe, thus guaranteeing hydraulic seal protection. 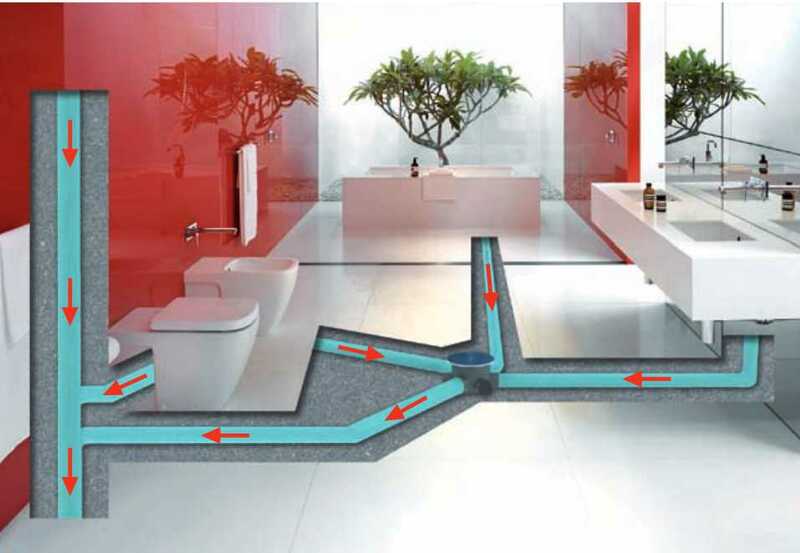 Due to its composition this joint is resistant to chemicals products used in a bathroom normally.